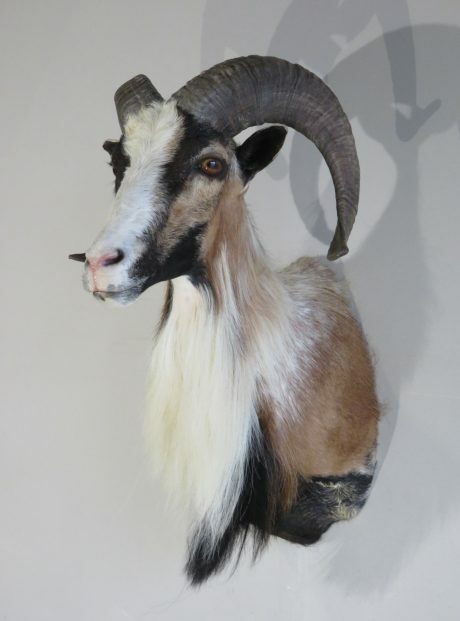 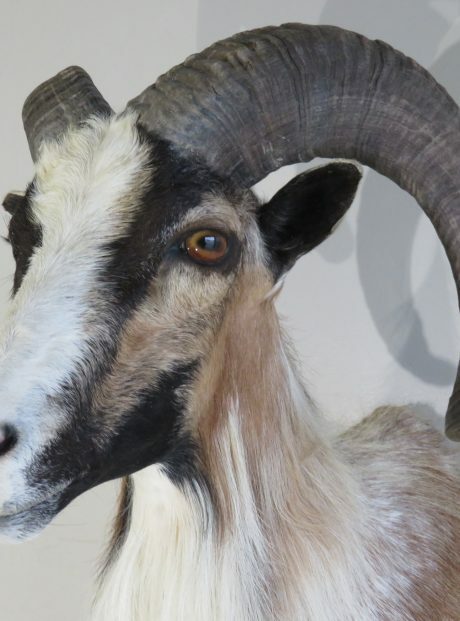 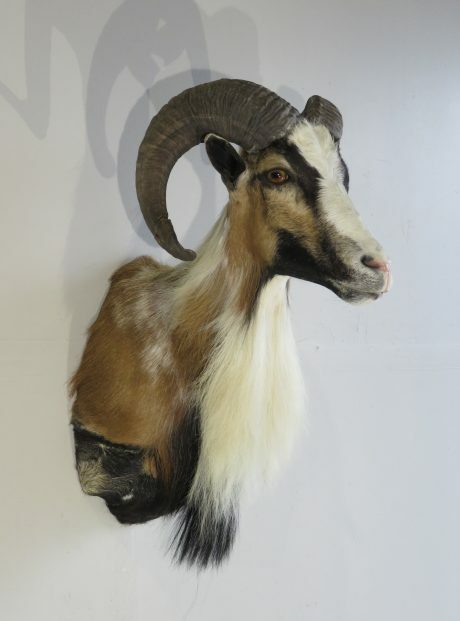 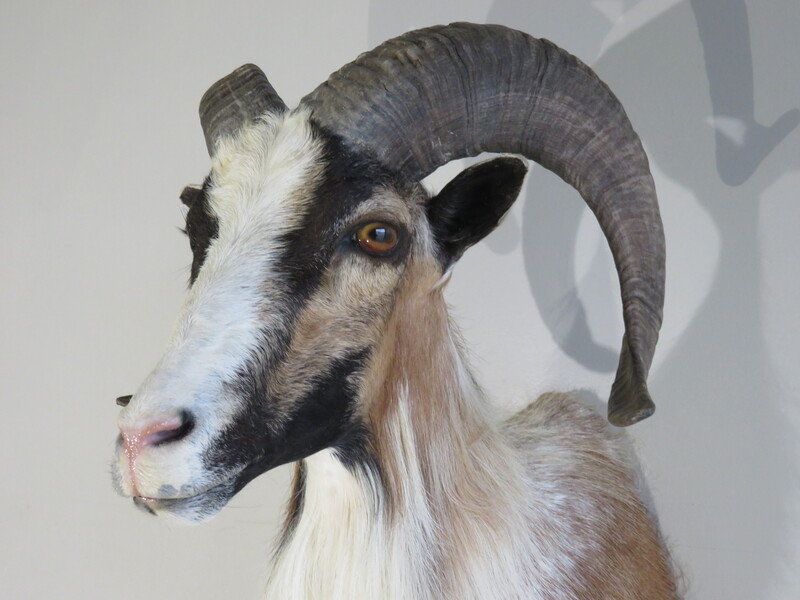 This is a Corsican Ram taxidermy mount. 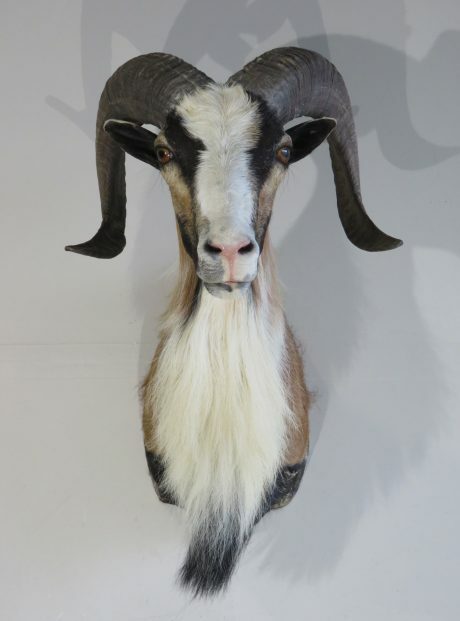 It is a good sized sheep that has great hair coloring and length. 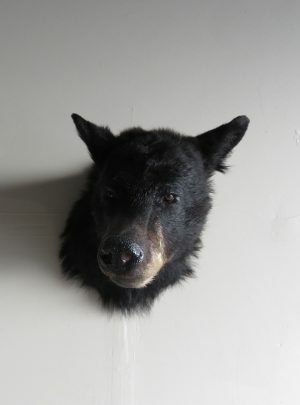 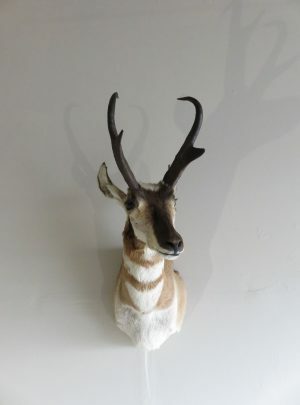 The taxidermy workmanship is excellent and features a head up, looking forward pose. 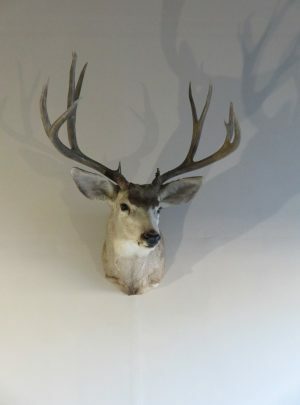 We have awarded this pose a score of “Excellent”. 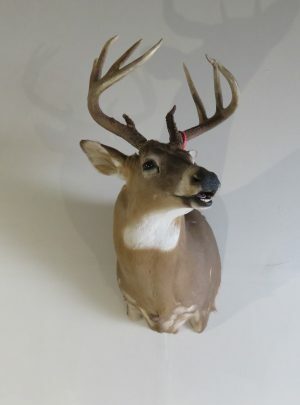 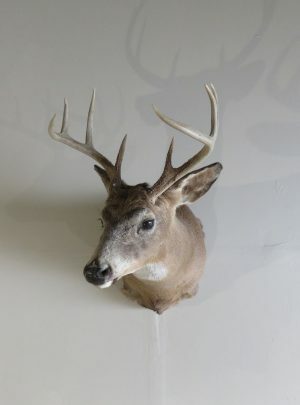 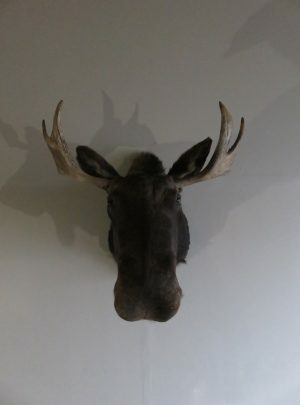 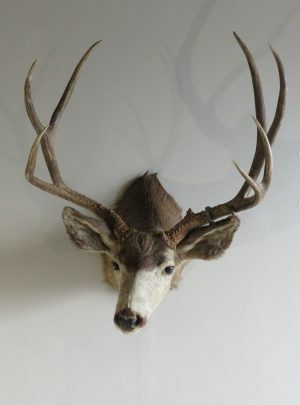 He makes a nice shoulder mount to add to the home, lodge or business. 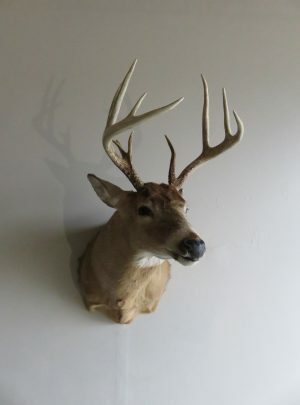 Overall mount dimensions are 21″ deep x 17″ wide x 30″ high. Horn lengths for this ram are 23 1/8″ on left side and 23 4/8″ on the left.